Get dozens more expert tips on how to build your network with our free eBook. Justwomen speaker Jennefer Witter (right) has trail blazed the PR world for decades. Now she’s helping other women entrepreneurs along the way. As Founder and CEO of The Boreland Group Inc, Jennefer Witter has headed a successful public relations business for 14 years. Jennefer is author of The Little Book of Big PR: 100 + Quick Tips to Get Your Small Business Noticed. 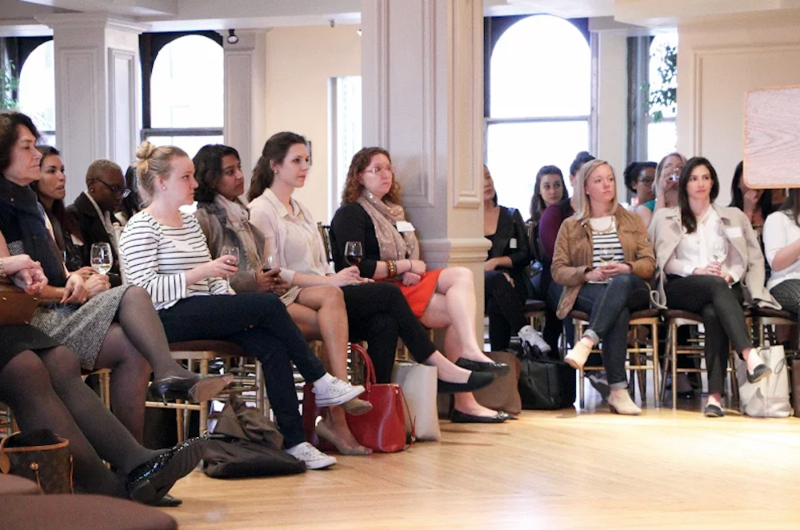 She wears many hats — from business leader to networking expert to public speaker — and Justworks was proud to have her as a panelist for women in business at our recent Justwomen event in New York City. The secret to her success? Jennefer quickly points to the power of networking and passion for her industry, along with an ironclad work ethic. Jennefer sat down with us to discuss the changing nature of PR, gender, and race dynamics in the workplace, and how her mother sculpted her business as it is today. Tell me about your background. How did you come to found your own PR boutique? After September 11th, I went from working with approximately 30 associates to two — me and an account coordinator — because we were heavily impacted by the tech bubble popping after the attack. My mother had also been very ill, and she eventually passed away. I decided to quit then; I was absolutely exhausted. Jennefer Witter spoke at a recent Justwomen event, a networking series for entrepreneurs. When I was ready to go back to work, instead of going into another agency, I thought, “Why don’t I create a business where I focus on what I really like to do?” That was the genesis of the Boreland Group, with our focus on corporate and executive visibility. In many PR firms, you can be literally working seven days a week, at all hours. If you’re diving into your personal time, you want to be sure the person on that other end is someone you want to represent. I sign clients who I like, respect, and admire. I see the relationship as a partnership, rather than vendor and client. Their success is my success and I strived to see that we uphold their high standards as much as I do mine, especially as I named my company after my mother and her reputation and the protection of her name far supercedes anything that I do. You’ve spent a lot of time in the PR industry. What are the most notable changes you’ve seen in the past five to ten years? I’ve been in PR since I graduated from college, 30+ years ago. Some people think doing the same thing for three decades would spell boredom, but PR is two things: first, you have an opportunity to visit other work worlds, so to speak. I get to represent a variety of different businesses and industries that normally, in other fields, one does not. Second, one of the beauties of public relations has been the way we are now communicating. It has changed so much within the past 5-10 years, with the advent of social media and the use of technology. These changes have added a level of freshness to the industry that makes it even more exciting and invigorating to be a part of. "Never stop networking. If you know someone who will be willing to recommend you, it puts you to the front of the line." It sounds like you were really close to your mom. Was she a role model for what you wanted to do? My mother was a nurse and I’m first generation American; my family is primarily West Indian. With both my parents, they wanted their children to be educated and financially independent. I got my ‘crazy’ work ethic from my mother. When she retired, she had two or three years of sick time that she accrued because she never took a sick day. When people ask me about workaholic ways, I directly point to my mom. There’s not a day goes by I don’t think about her, even though she’s been gone for a while. I still miss her, and [naming the business after her] is a way to keep her even closer to me. Justwomen’s discussion theme was navigating workplace communications between genders. What has your experience been in communicating well in a mixed-gender workplace? I was first asked to think about this topic for a keynote speech for Brown Brothers Harriman, and that’s when I really dug deeper into the topic. There are already a lot of stresses and challenges going on in the work environment, and unbeknownst to many, the conversations we have can add to the stresses and challenges. Understanding where the other person is coming from — for example, He’s not interrupting me because he’s being rude, he’s interrupting me because he wants to get to the solution faster. And for men to understand that women talk more because we want to get more information before we make a decision. We’re not indecisive; we’re looking for a solution that will lead us to the most solid decision, period. Gender and conversation is rightfully getting more attention, and how misinterpretation or lack of knowledge of the different ways men and women communicate has a definite impact on our work and the work product. Gender inequality is a topic that is increasingly discussed at events, but it seems like racial inequality in the workplace isn’t discussed openly as much. [Race in the workplace] has not been approached as it should be. The way and what a person says something to a person of color could immediately raise the hackles of that person. The country, as we all know, has a long and torturous history with race. In the workplace environment, some people think it’s better to avoid race rather than face it head on. I can only speak for myself, but if you have a question or anything, I would prefer that you ask me instead of assuming. This also wraps into implicit bias. Virtually every person of color can tell you a story that would make your eyes pop out. Once I was talking to an associate young enough to be my daughter. I mentioned I was a first generation American, and she said, “Oh, you must have learned how to speak proper English by learning from the television.” Huh?? She didn’t see why that was offensive to me and had a level of blatant ignorance. Diversity and training are critical; I’m the Diversity Fellow for M Booth, another PR agency. It’s one of the few agencies I’ve worked with that is truly walking the talk, by making diversity a critical component of the company. I appreciate their devotion to the topic. Have you ever been in a position where you’ve had to deal with racism or sexism coming from a client? I will say that back in the day, in the 1980s before social media made you visible everywhere, when there weren’t photos of individuals, I met with reporters or walked into meetings and they had that two second, “Oh, you’re Jennefer” look (and some would even say it). You can talk to many black people in my age group who have had that experience and it was obvious the person who reveals that nano-second of surprise, that you weren’t *quite* the image of the person they had in mind. Do you have any advice for how can people from diverse backgrounds and experiences can thrive in the workplace? There is a plethora of membership organizations geared toward women. 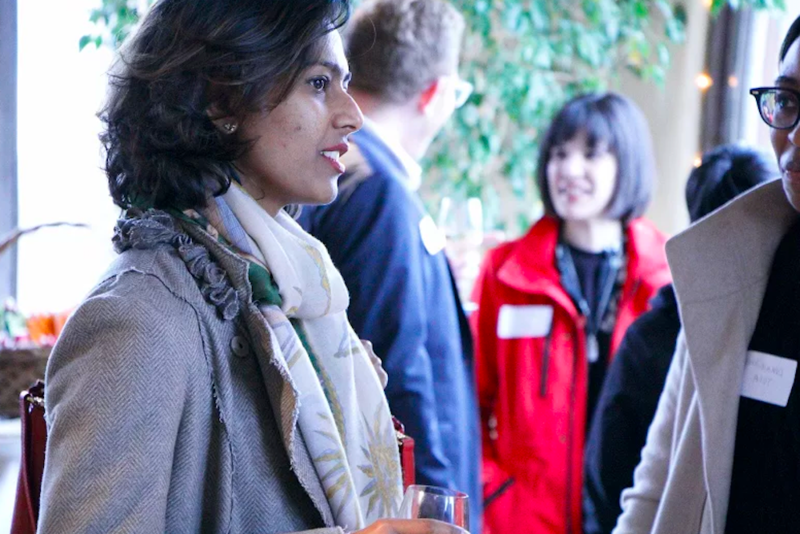 With Ellevate, you can find a community of like-minded women to join forces to coach each other — whether it’s work-life integration, negotiating, starting your business — we’re here to help each other. Never stop networking. If you know someone who will be willing to recommend you, it puts you to the front of the line. I’m a member at Ellevate, I network a great deal, and I have won accounts by can be our allies. But we need to build an old girls' network that is just as strong as the old boys' network. I didn’t become an advocate for women until after 2008. I was at a weeklong seminar a few weeks ago, and a younger woman in her thirties started to cry because she said she hadn’t advocated for women but has benefited from them. Women do a lot; if you can make time, make the time to do it — but, if you can’t, you can’t. Know that there is a network out there, and feel free to contribute what you can, give back, and receive as well. Jennefer paneled Justwomen in NYC with Kristy Wallace, where she discussed navigating workplace communications between genders. You can learn more and request an invite to the next event here.